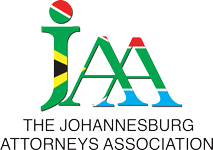 The Johannesburg Attorneys Association is South Africa’s largest voluntary attorneys association. It represents the interests of some 2 500 attorneys practising in the greater Johannesburg area (including Soweto) as well as Randburg and Sandton. The Association has over 1 200 paid up members and a very proud 50+ year history. It was formed when a group of Johannesburg Attorneys, angered at the manner in which a Pretoria colleague was treated by the Law Society, decided to stand together in his defence. The Association represents the interests of attorneys and although some members of the public are assisted in certain ways, the Association does not have disciplinary powers over its members. People who do have complaints about attorneys need to refer those complaints to the Law Society of the Northern Provinces. The Association does however have the power to arbitrate disputes between member attorneys or members of the public and attorneys, if both parties agree to same. The Association’s main offices are located at the High Court and we also have offices at the Johannesburg Magistrate’s Court. These offices provide attorneys, and members of the public, with photostatting, phone and fax facilities at nominal charges. Members also receive approximately four newsletters a year advising them as to developments at the Court. The Association prides itself on the fact that it is a voluntary association, that it is the largest such association in the whole of South Africa and that its membership exceeds that of many of the compulsory provincial Law Societies. The Association is influential and its members feature in the press, on radio and television and have made numerous representations before and to Parliament.